From Grigich, Rombauer, and to Frank Family; Duane David Dappen (hence the D-cubed) is one of Napa’s most respected winemakers. 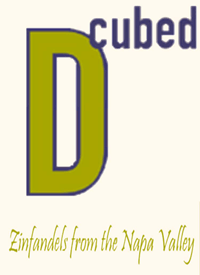 With impeccable winemaking and incredible vineyard sources D-cubed has become highly acclaimed and equally sought after. The entire line from D-Cubed do not disappoint. D-Cubed Cellars produces distinctly different Zinfandels from Napa Valley, Howell Mountain, Black Sears, Brown Vineyards, and Slaybaugh Ranch.